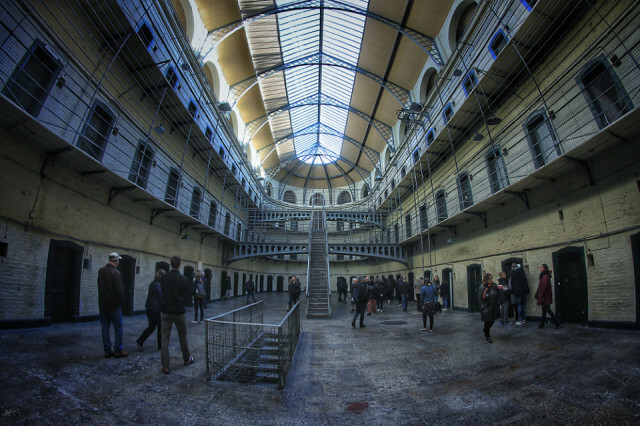 We started today with a bus ride to get us to the Kilmainham Gaol, where we’d booked a tour. The driver on the way was funny with his commentary and jokes. The jail was interesting, but quite a creepy place knowing how many people were executed there. The tour guide said it wasn’t haunted, but we weren’t sure. After the jail, we walked through the grounds of the Museum of Modern Art, before getting back on the bus to take us to a Temple Bar. We had lunch at Bunsen - amazing burgers - and then took a walk round St Stephen’s Green, and back along the River Liffey to the hotel.